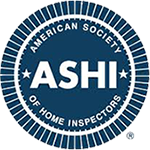 Only an ASHI inspector can provide you with a professional, personalized inspection that combines more than 30 years of the highest technical standards, adherence to a strict code of ethics, and the very best in customer service and education. We call this "The ASHI Experience". When you choose an ASHI inspector, you’ll be working with a professional who has passed the most rigorous technical examinations in effect today. The National Association of Mold Professionals is a non-profit organization that was established with the goal of developing and promoting the Mold Inspection and Remediation industry. NAMP is America’s oldest and largest Mold Association. NAMP members follow strict standards of conduct and ethics.